Latch hook is not something I have done for a really, really long time, so I was quite surprised when my 8 year old son Sean came to me and asked if I would buy him a latch hook kit so he could try it. I have no idea where he got the idea, but he was excited about trying it and I am all for keeping little hands and minds busy on constructive and useful activities that don't involve a screen or something that plugs in or uses batteries. So off we went to Michael's with a good coupon and purchased a little 8 by 8 inch latch hook kit. 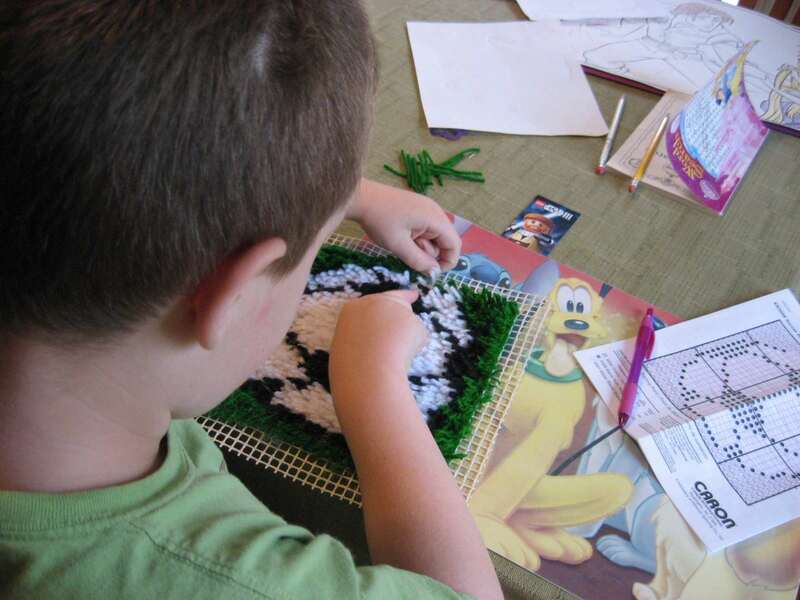 Here he is the next day finishing up the last row of his soccer ball latch hook! He caught on after one demonstration and he worked on it until it was finished, keeping track of each row on the chart and not wanting to stop for anything! I guess he liked it because he asked when he could get his next kit! I had shown him what was available online, and the one he thought would be fun to do was a 2 foot by 4 foot Mona Lisa! Isn't that funny? 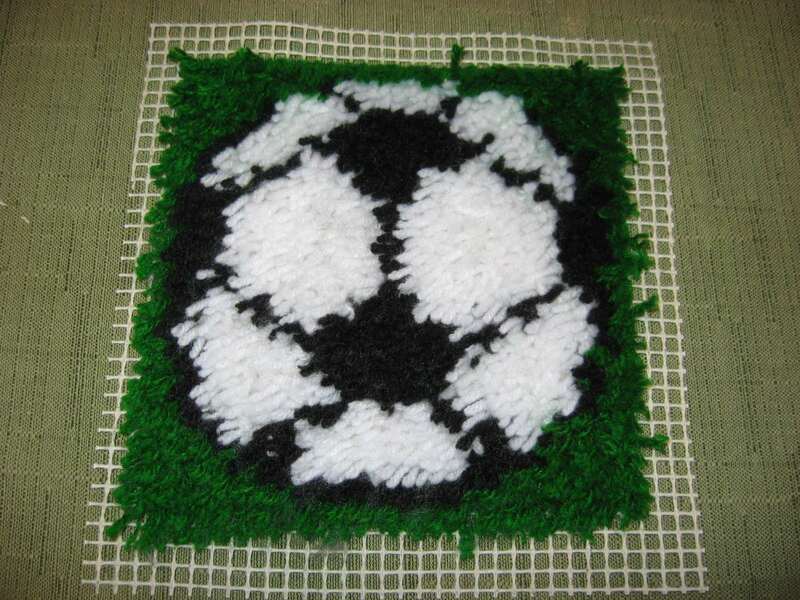 Now he wants me to make this soccer ball rug into a pillow for in his room, so that's on my list of things to finish. Of course, my little almost-7-year-old Grace was not to be outdone, so she asked for her own latch hook kit to work on. 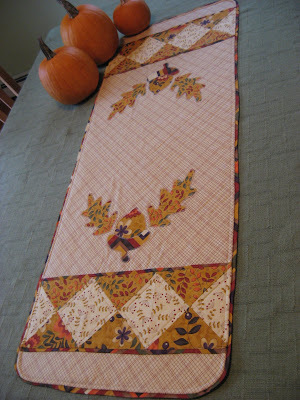 She got the hang of it pretty quickly too, but has only finished a few rows. I think Sean might end up finishing this for her. 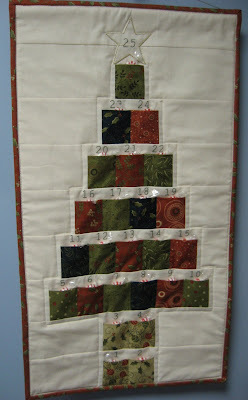 But she did ask about learning to sew fabric squares together, so I showed her how to do it by hand and she hand stitched four squares together with perfect little stitches. Isn't it great to share your own love of creativity with your kids and see them just go ahead and run with it? 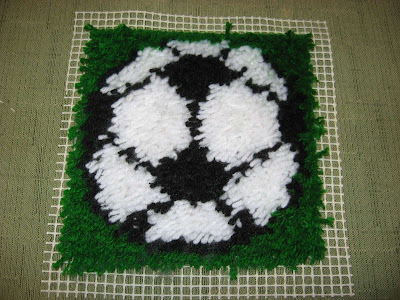 This sort of thing teaches so much more than How To Latch Hook, or How To Sew. It teaches kids that using their hands to create something gives them a feeling of accomplishment, something to show for their time, and a way to express their own creativity in a useful and worthwhile way. It's a good thing to do. Do you have young people in your life to pass on your creative knowledge and skills to? 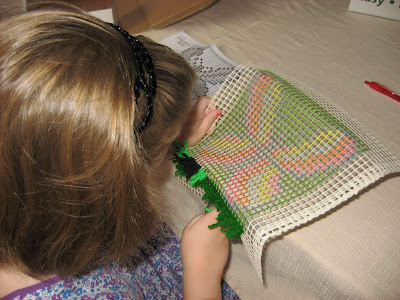 Mary Grace...my Mom LOVED latch hook...maybe I should try that with my granddaughter, Kira...she made her first potholder the other day with those loops and a loom! Your son did an amazing job on his project and your little Grace too! I made pom poms with Kira last night and she's very interested in Amigurumi...I can't wait to teach her to knit and crochet...I told her she could make anything! Your children will never forget the quality time you spent with them! They'll be so pleased with their hand made project! I remember latching hooking a strawberry pillow in HS. Wonder if Mom still has it!!! Such fun when they start picking up their own interests. I can remember making those too!